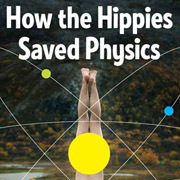 IN NOVEMBER 2013, the History of Science Society awarded The Watson Davis and Helen Miles Davis Prize to MIT historian and physicist David Kaiser for his book How the Hippies Saved Physics: Science, Counterculture, and the Quantum Revival (W. W. Norton, 2011). The prize is given to authors who compose works in the field of the history of science intended for general audiences. Kaiser, the Germeshausen Professor of the History of Science, said "it was a special thrill to have the book recognized this way by my colleagues in the History of Science Society." "Kaiser's book is distinguished by prodigious research. He also displays a knack for providing lucid explanations of challenging technical issues as well as a gift for crafting a story that keeps the reader eagerly turning the pages. How the Hippies Saved Physics is an accessible and highly engaging book that deftly paints a convincing picture of how the main characters were embedded in the broader culture. It is at the same time a deeply serious, thought provoking and original work with very important things to say about the history of quantum mechanics, the links between the counterculture and science and technology, and the complex relationship between physics broadly conceived and the Cold War in the United States." 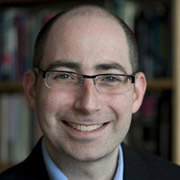 Kaiser is the Germeshausen Professor of the History of Science; Department Head, the MIT SHASS Program in Science, Technology, and Society; and Senior Lecturer, MIT Department of Physics. The HSS is dedicated to understanding science and its interaction with society in a historical context. Over 3,000 individual and institutional members across the world support the Society's mission.